Wedding crowns Stefana for Greek or Russian Orthodox marriage ceremony. 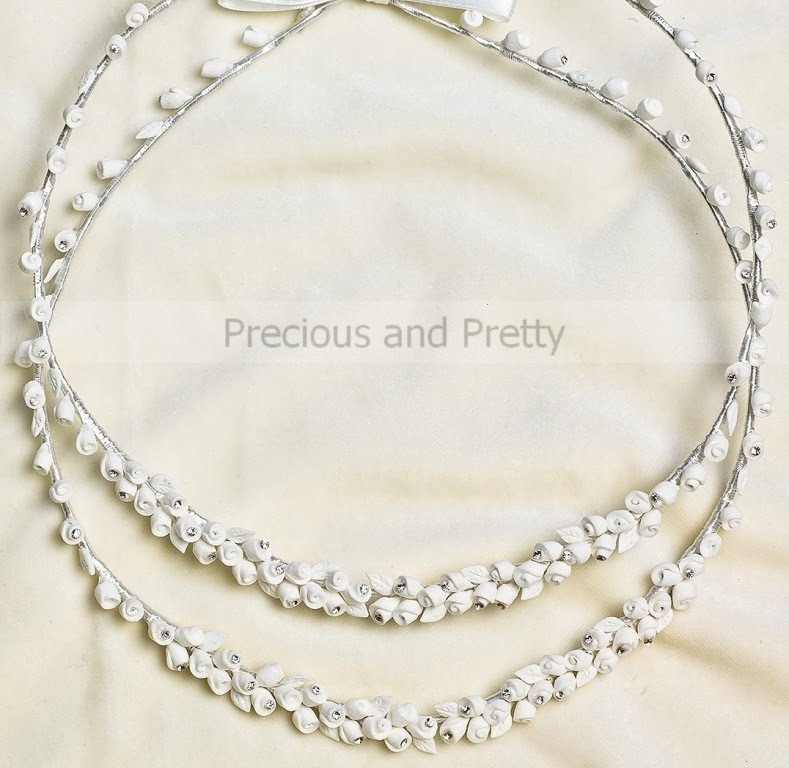 Traditional crowns made by white porcelain rosebuds, rhinestones and leaves. The stefana are attached by a long white satin ribbon. https://www.preciousandpretty.com/2019/01/orthodox-wedding-crowns-n604.html Greek Wedding Favors|Orthodox Crowns|Stefana|Baptism Invitations Orthodox wedding crowns N604 Wedding crowns Stefana for Greek or Rusian Orthodox marriage ceremony. Product #: Greek Wedding Favors|Orthodox Crowns|Stefana|Baptism Invitations_2769508370773682613 5 stars out of 5 reviews.